Fee: $125.00 per hr. Payable by check or money order (USD), plus the phone charge for the session cost. *CD of my commentary from the session can be postal-mailed within the U.S. at no additional charge. Prepayment is required for a first time session. Check or money order will not be deposited until the session is complete to your satisfaction. plus $5 additional if CD of my commentary is postal-mailed outside of U.S. The ASTROLOGY MINORITY REPORT email newsletter will be free, but donations are welcome, and it may not happen without your help. As many know, the biggest astrological organizations and websites based in the U.S. are led and made up of predominantly relatively well-off Caucasians with an unexamined “keywords” approach to astrology. The late depth psychologist, James Hillman co-wrote a 1992 book called WE’VE HAD 100 YEARS of PSYCHOTHERAPY --- AND THE WORLD IS GETTING WORSE. Perhaps you’ll agree with me that the world is infinitely worse since that “Monkey” year, 1992. Meanwhile, we’ve had about a half a century of modern unimaginative hearsay astrology. The world is not only getting worse, but most modern astrologers couldn’t see it coming, or guide us through it. Past astrology predictions have hardly ever been fact-checked for accuracy, as American astrologers, like most ordinary Americans, tend to prefer to look forward, never looking back. Like the rest of America, astrologers, if they look at history at all, tend to embrace historical fictions that flatter well-off American Caucasians of old. North American astrologers, if religious at all, tend to see astrology as separate from the spiritual, as if on the other side of a line of Buddhist prayer flags. Similarly, although Carl Jung told us that Soul is expressed and accessed through imagery, most modern astrologers ignore or downplay the rich imagery and mythology that is the origin and essence of astrology itself. Here’s a pop quiz: What is the mythological story of the sign and constellation Pisces? 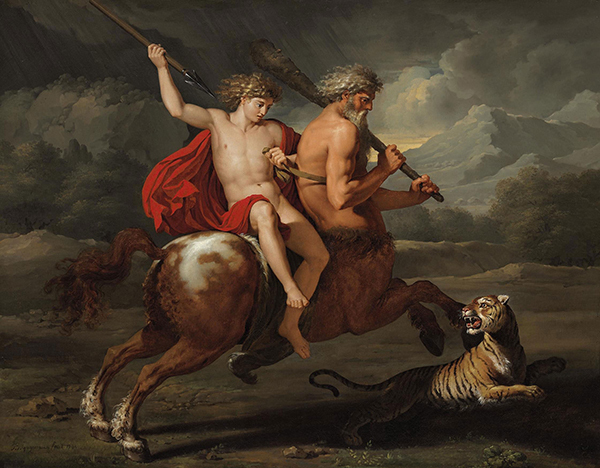 The ubiquitous clichéd adjectives for Chiron are “wounded” and “healing” or most often combined as “wounded healer.” Like many other clichés, there can in deed be truth in these words, but taken out of their mythological context they can be very misleading. “Ch-ironically” the usual astrological “cut and paste” of these words contributes about as much to real soul-healing as a band-aid on a severed limb. Such processed astrology is about as nourishing to the soul as processed food is nourishing to the body. In fact, scientists have found that conventional processed foods can even be carcinogenic. I make no such analogous accusation against conventional astrology, full of the usual Chiron clichés shared at astrological conventions in corporate hotels usually divorced from Nature and Natural foods. That said, mythology tells us that Chiron was the wise mentor to one “hero” after another in that character’s youth. The individual “hero” may have been a great hunter, a great warrior, a great leader, a most amazing healer, a profoundly exceptionally amazing musician, etc. In Greek mythology, Chiron was the advisor to many a future leader. In later stories (neo-mythology) Chiron is again advisor to the young individual male but sometimes Chiron is the active advisor to the active adult leader. For instance, nearly three decades ago I wrote of such a neo-myth of Star Trek, for The Mountain Astrologer, based on Nimoy’s exact date and time of the creation of the character Spock. Because probably most readers are familiar with the Star Trek Captain Kirk – Mister Spock relationship, theirs’ best illustrates a Sun – Chiron relationship (Kirk – Spock, respectively). Further back we have the King Arthur – Merlin relationship. In both cases (definitely in the case of Kirk) the leader would not have done as well, or at all, if not for his mentor. Frodo and Gandalf: ditto. Imagine such a leader without that wise advisor, or if the advisor is ignored. It would be too simplistic to assume that when astrological Sun and Chiron aspect one another in a chart that is a guarantee of some such wonderful success story. Astrology only shows us positive potentials, which are rarely the actualities. In this case, there is the positive potential of a V.I.P. cooperating with wise mentoring. The tragic potential of Sun - Chiron is the tragic foolishness of the would-be (or former) V.I.P. who presumes his actions are wise, even noble. Ch-ironically such a character does no good for himself (and it tends to be a “guy thing”), no good for his group or cause, and no good for anybody. The Full Moon of March 20, 2019 has Sun Aries with Chiron Aries opposite the Full Moon. Sun is on the degree that sets off Spring, opposite the Moon on the degree where Autumn will begin in six months. Usually a Full Moon is the emotional culmination of all that has gone down in the previous two weeks, and of course that is true this time as well. However, this time the Full Moon also sets the tone for the coming season. Usually the Spring Equinox affirms the life force, usually enough to get each of us moving forward with life-affirmative spirit. This time it is a more complex challenge. Why? There was a significant Sun – Chiron event that occurred between the New Moon of March 6 and the Full Moon of March 20. Chiron in Aries deals with the issues of wise effective action, the tragedies and consequences of violence and war. The last time Chiron was in Aries American political “hawks” versus “doves” battled over continuing or ending the Viet Nam debacle. 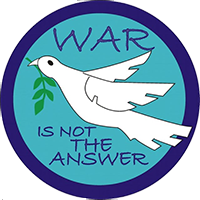 “War is not the answer” is part of Aries Chiron message. Approximately 1:10 pm: 28 years old Australian male white supremacist Brenton Harris Tarrant posts to Facebook a manifesto, including appreciation for Trump and hope that his (Tarrant’s) actions will trigger a race war in the U.S. (He posts while Moon squares Chiron). Like fellow Aussie bloke Rupert Murdock (3/11/1931), owner of Fox News, Terrorist Tarrant was trying to stir up hatred in a country seventeen hours behind him. We have a sixty years younger man from Down Under trying to bring America down. Astrology’s Sabian Symbols for each of the 360 degrees are best interpreted not literally, but rather in the manner of the interpretation of dreams. In this case, we have a twisted action to negate a religious form of expression. This world traveller chose the only capital city of any country in the world named “Christchurch” for his atrocity. Other religious Sabian Symbols for that time: “A boy with a censor serves a priest at the altar”; “A woman entering a convent” and “An old adobe mission.” Note also that Neptune was conjunct Vesta (pious religious devotion). This was a one-sided battle in a “religious war” where the other side was not firing at the perpetrator. This was war only to Terrorist Tarrant and his ilk. Tarrant had the financial where-with-all to do his world - travelling thanks to his dealing in crypto currency (Uranus in Taurus) – or in his case, more like “creep’s toe” currency. Remember what crypto currency wrought when anyone sings its praises: cyber gloves to handle blood money. 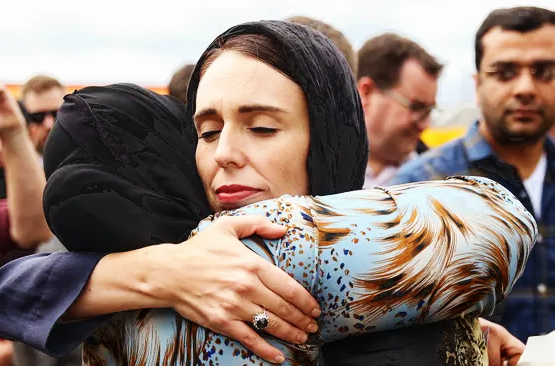 Jacinda Ardern, Prime Minister of New Zealand, when asked by Trump what he could do, she asked him to offer “sympathy and love for all Muslim communities.” Trump, who banned Muslim countries’ immigration into the U.S., lied to her that he would. Worse, he promoted the anti-Muslim Breitbart news for his own p.r. in the immediate aftermath of the tragedy. Just as Trump opposed the request of a woman (Jacinda Arden), previously his chief political advisory was a woman (Nancy Pelosi). Similarly, we thankfully have Greta Thunberg-inspired 3/15/2019 school walk-out for the environment, Alexandria Ocasio-Cortez, Peace advocate Tulsi Gabard, Medea Benjamin and Code Pink, and other females and female-lead groups who challenge Trump and other leaders. That includes Wicked Witch of the West 85-year-old Diane Feinstein, ready to throw the children into the Global Warming oven, set to the maximum setting. If Chiron were beside the leader at this time, he would say, “Listen to the woman, listen to the girl.” The Sabian Symbol for the first degree of Aries, the degree of the Sun on this Full Moon, is also female: “A woman has risen out of the ocean; a seal is embracing her.” It is time for females to challenge every leader, male or female. Mythological Chiron was the defender of the forest and all creatures, and lived in Nature, close to the beautiful Aegean Sea. It is time for leaders, no matter how wounded, no matter how vulnerable, to do the right thing for Gaia and all Her creatures, including Muslims everywhere. Jung and the Jungians have advised each of us to try to ”hold the tension of the opposites.” In this case, Sun’s ruler is Mars; Full Moon’s ruler is Venus. Venus, with “male, don’t tell me what to do” Lilith are square to Mars, ruled by Venus, all three in fixed (stubborn) signs. “Men are from Mars, Women are from Venus” is more true now more than ever. Heterosexual men, especially violent “Incels” and Lesbian women are likely to be particularly at odds around this time. No doubt things look bad, in lots of ways now. However, life somehow goes on. You might just want to live it. Although he was hardly my favorite human, Winston Churchill did have some good advice here and there, including: “When you are going through Hell, it is important to keep ongoing.” Somehow all of this, “This too will pass.” Will you pass through it, or choose to simply “pass” up life? The choice is yours. How to go on when faced with despair? Blues Power works for me. 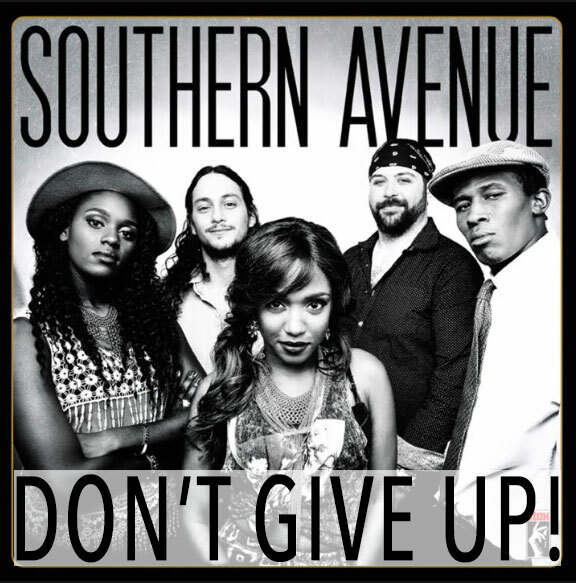 Specifically, try males and females blacks and whites ethnically diverse band SOUTHERN AVENUE and their gospel-like song of inspiration: “Don’t Give Up”. Thanks for reading, feel free to forward or otherwise share. 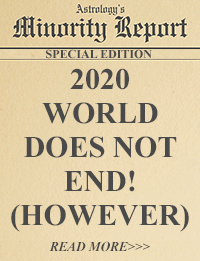 "Following Our Own Star: Lasting Effects of Ephinany Eclipse 2019"
"Terrible, Terrorizing War-god’s Street Pageant"